Washington, DC - Americans for Peace Now (APN) joins its Israeli sister-organization Shalom Achshav (Peace Now) in welcoming the European Union’s new guidelines for labeling products made in West Bank settlements. Peace now views the settlement product labeling guidelines issued today by the European Union as a means to oppose the occupation and, thereby, support Israel. Peace Now has always considered the settlement enterprise as the main obstacle to a two state solution, and, like the settlers themselves, views Israeli factories and economic institutions within the West Bank as a political statement. A more accurate labeling system, as Israel never annexed the West Bank, will allow European residents to make purchases according to ideological considerations. Further, this system will help curb efforts to boycott Israel entirely, such as those advocated by the BDS movement. Finally, when negotiations which could lead to a two state solution do not exist, measures which differentiate between Israel and the West Bank are important in preserving the two state solution. 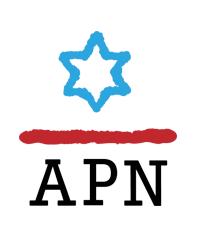 Like its Israeli sister-organization, APN supports making a clear distinction between sovereign Israel and the West Bank, which is under Israeli military occupation, and which -- together with the Gaza Strip and East Jerusalem – in the context of an Israeli-Palestinian peace settlement, will become part of the Palestinian state. For a two-state solution to materialize, APN believes settlement expansion must stop, the settlement enterprise must be rolled back, and the occupation must end. APN therefore supports both the marking and the boycott of settlement products. For more on APN’s joining Shalom Achshav’s 2011 challenging of Israel’s anti-boycott law, aimed at deterring boycotts of settlement products, click here. For more on APN’s position regarding the use of measures to protest the settlements and the occupation, click here.